So what are your thoughts about the questions I pose in this video? Please leave your comment below or on YouTube here. I so needed to watch this today. We need to remind ourselves it’s OK to protect our energy. We are the ones that suffer when we push ourselves to avoid disappointing others. It is hard to feel we are letting our loved ones down though. Hi Chris – think of it this way – if you ‘push’ forwards, then what? Ultimately, you will be able to do less with that strategy and ‘let down’ your loved ones even more. It’s false economy. I think it helps to realise that being ‘selfish’ is actually what is required to feel better and ultimately be more available for loved ones. I agree Dan. The most difficult comments I have to deal with are kind people who think that “just relaxing”, “cutting loose”, forgetting the discipline of pacing etc, going on holiday, doing lots of what you enjoy, on their own are the answer. They come from the understanding of their own problems which tend to be purely of a psychological/emotional nature which are indeed helped/cured by the above. I try not to get cross when people tell me that I’ll feel better when the weather perks up/the sun comes out/the days are longer! Yes, that the whole issue with the illness still not being understood by people. Having said that, all those psychological aspects (including the weather) can of course help us to cope and feel better, at least emotionally. Hello Catherine i could not agree with you more i reffer to people saying : oh you,ll be O.K. when you,ve had a rest : if only more people thats never suffered this life taking away disab understood i,m still battling 30 yrs on . Catherine, the weather thing! We are bound to be better if sun shines! Or it’s Christmas you’re feeling better to see people er no. I like raining days dark and then I can at least open the blinds! I agree assertive communication is best, always. I came to this illness being fairly straight forward in my communication as well as having a strong sense of self. I do feel, however, that some communication ideally takes several “passes” or different ways of explaining, even repetition for the recipient to understand and or internalize. Not everyone understands right away. So, I guess for me, when I can, I put some energy into the communication. I am blessed with a supportive group, though. I remind myself that if a discussion isn’t going well I can try again when clearer heads prevail. Thanks for your comment Terri. I think most people with the illness struggle with this and like I said in the video, they think it’s just them. 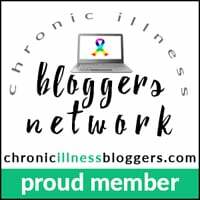 If autoimmune diseases pile on top of CFS, can one heal through this program? By ‘this program’, I presume you are talking about ANS REWIRE. We don’t have specific data to be able to make such claims. 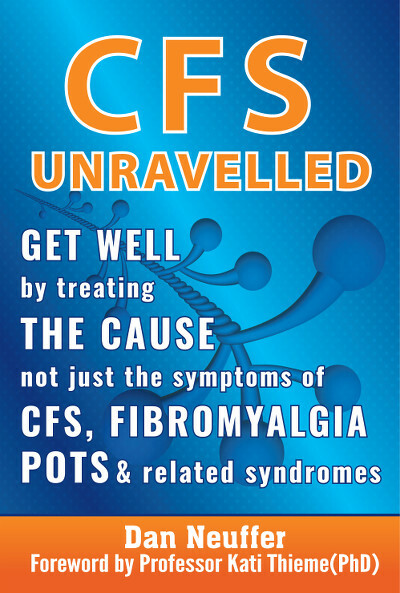 However, I have seen many people recover from autoimmune disease as they have recovered from CFS/Fibro. What kind of autoimmune disease do you have? Thank you so much for responding. Hashimoto’s Thyroiditis, Interstitial Cystitis and one to my gastroparietal cells. The problem is that there isn’t much research into recovery from the illness. In fact, in my experience, the data doesn’t even make it as far as the treating doctor! Most of the people that recover that I have spoken to have never gone back to their doctors – they just ‘disappear off the grid’ so to say. I reached this point when I was still trying to work full time. My boss was discussing the number of absences I had and I just said okay. I had apologized so much before that I had made the decision not to apologize for something I could not control. My boss misinterpreted my lack of apology as depression and became very concerned about my mental state. It took me awhile to convince her I was okay. I can totally see how that would happen – if someone acts ‘indifferent’ like that, it would seem like they are depressed. But of course, it just comes to a point where we surrender to the experience and don’t find it. How insightful – thanks for your comment. Isn’t it odd how these dynamics make us question ourselves. You hear it often enough and start to wonder “maybe I do have it all wrong”. Sadly doctors are no different, if they haven’t experienced CFS, it’s hard to understand what ‘fatigue’ really means. Persistence with all these things is key – see if you can learn to do the rehab work in a way that takes less out of you – seek to do the exercises whilst straining less, hopefully that will help. I have found that if I go to an event in my wheelchair instead of just finding a place to sit down during the party/ cocktails or whatever it is, people are much more understanding. It’s not that my disability is worse on those days but that if it’s visible it’s not questioned. Surprisingly few people ask me what’s wrong or offer advice if they can see that I have a problem. At first I was reluctant to be seen in public this way but I now realize that it’s actually much easier for everyone! But of course, the experience also shapes our own perception and our self-identity which makes such choices not always helpful. I agree with this in theory completely. In practice I can get so irritated, upset, angry when people say insensitive things about this subject. I think the sicker I am, the shorter tempered I am. I also reply the things they’ve said in my mind again and again. Wish I didn’t care. Yes, that was my experience also. Frankly, it’s best to distance yourself from people making such comments and ask them to refrain! Thanks, Dan. Yeh, I think you’re right. Yes, it’s not always easy to show that understand to others – many people like your dad (bless him 🙂 ) just don’t get it. Sounds like you are handling it really well – good on you! I keep trying to join but I can’t quite get through, so this is a test. Anyone there? You are not on the list because the request has not been confirmed. You need to click the confirmation link emailed to you – if you can’t see it, check your spam folders. So appropriate as I have a wedding to go to in a weeks time. It’s 400 miles away. I’m only just recovering from my last trip to the same area last Nov after months in bed with a bad flare up. I know I’m not well enough to go. I’m not sure I’m well enough to be left alone ( it’s my husband’s son so he will go) it will cause a really big fall out between us as he struggles to understand and thinks im.beimg negative if I try and explain. You video rang true so much. Goodness – it’s tough isn’t it! It drives me crazy when people suggest ME is not real!